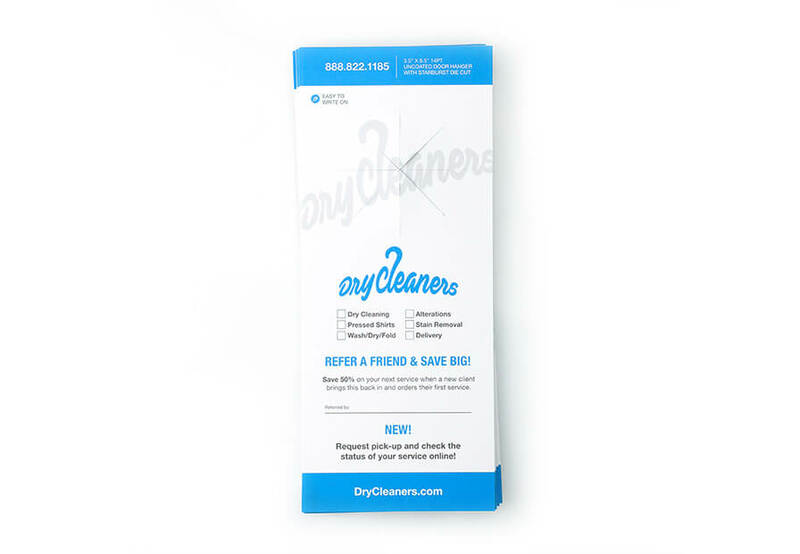 Get your get your message noticed and bring in business with custom uncoated door hangers. They are great for bringing awareness to various details about a company, event, product, promotion or service. Select from various printing options and dimensions. This premium uncoated card stock allows you to write on them without smudging easily and provides a slight natural texture. Choose from three styles of die cuts for our door hangers: standard die cut with slit, starburst die cut, or our arch die cut. All three are easy to slide onto any door hanger. Get your message noticed and reach a local audience by printing door hangers. Please Select 3.5" x 8.5" 4" x 7" 4.25" x 11"